I love hearty, warming comfort food at this time of year. 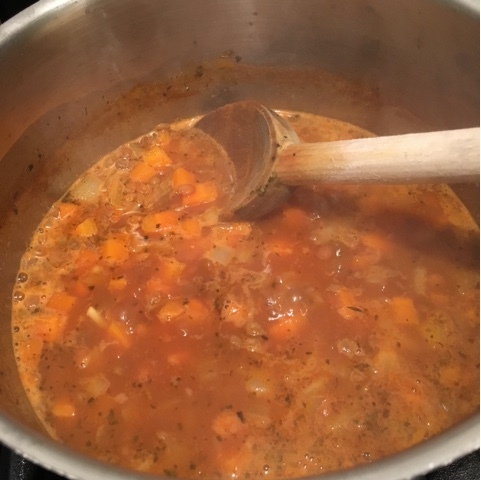 As a vegetarian I like to come up with tasty meat alternatives that I can enjoy with my family, because this recipe uses lentils to replace mince it's lower in fat and calories too! And it's 1 of your 5 a day per portion. 1. Boil and mash the potatoes, add the milk and butter if using. 2. Add all other ingredients to the pan, fill the empty lentil can with boiling water and add to the pan, fill again and add that too. Give everything a good mix. Heat the oven to 140oC. 3. Bring to the boil, reduce to a simmer and cook for 30 minutes until thickened up and vegetables are cooked through. 4. Transfer to a 1 1/2litre dish, top with the potato and bake for 20 minutes until golden on top. Serve with lots of veggies, cuddle up on the sofa and enjoy! 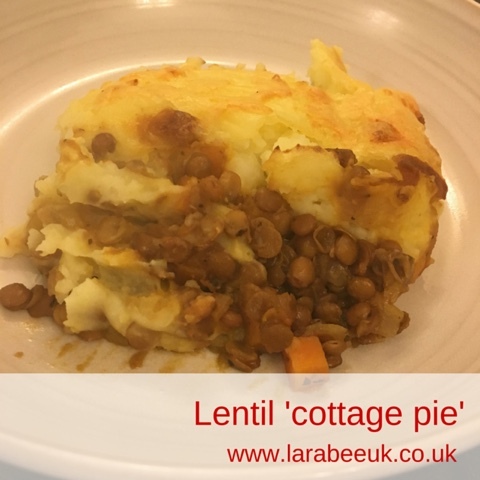 Lentil cottage pie is one of my favourite winter meals, it's so hearty and warming. Thanks for linking up with #CookBlogShare - hope to see you again next week! This is just the sort of meal we love and one the child will eat too!